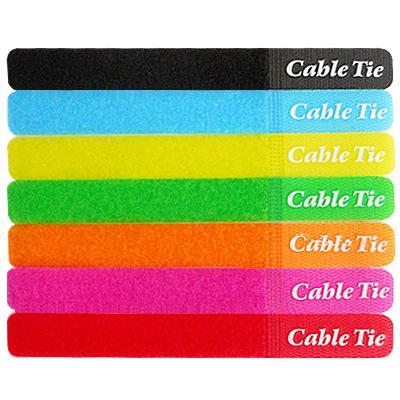 Color code your cables with a variety of seven 8 inch color coded ties. Constructed with high quality nylon to securely organize cables. Self-attaching design lets you use and reuse. Secured cables help reduce accidents. Multiple colors (orange, green, black, red, pink, yellow, blue) let you color code your connections.